Agraphia is an acquired neurological disorder causing a loss in the ability to communicate through writing, either due to some form of motor dysfunction or an inability to spell. The loss of writing ability may present with other language or neurological disorders. Alzheimer’s disease (AD), also known as Alzheimer disease, or just Alzheimer’s, accounts for 60% to 70% of cases of dementia.It is a chronic neurodegenerative disease that usually starts slowly and gets worse over time. As the disease advances, symptoms can include problems with language, disorientation including easily getting lost, mood swings, loss of motivation, not managing self care, and behavioral issues. Dyslexia, also known as reading disorder, is characterized by trouble with reading unrelated to problems with overall intelligence.Different people are affected to varying degrees. Problems may include difficulties in spelling words, reading quickly, writing words. Amyotrophic lateral sclerosis (ALS) is a specific disorder that involves the death of neurons. ALS is characterized by stiff muscles, muscle twitching, and gradually worsening weakness due to muscles decreasing in size.This results in difficulty speaking, swallowing, and eventually breathing. 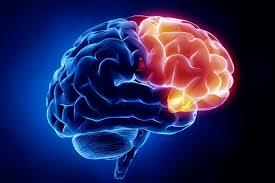 Aphasia is a combination of a speech and language disorder caused by damage to the brain. Most often caused by a cerebral vascular accident (CVA), which is also known as a stroke, aphasia can cause impairments in speech and language modalities. Apraxia is a motor disorder caused by damage to the brain (specifically the posterior parietal cortex). Arachnoiditis is an inflammatory condition of the arachnoid mater or ‘arachnoid’, one of the membranes known as meninges that surround and protect the nerves of the central nervous system, including the brain an spinal cord. The arachnoid can become inflamed because of adverse reactions to chemicals, infection from bacteria or viruses. Chiari malformation, also known as Arnold–Chiari malformation, is a condition affecting the brain. It consists of a downward displacement of the cerebellar tonsils through the foramen magnum. Ataxia is a neurological sign consisting of lack of voluntary coordination of muscle movements that includes gait abnormality. Ataxia can be limited to one side of the body, which is referred to as hemiataxia. Dystaxia is a mild degree of ataxia. Friedrich’s ataxia has gait abnormality as the most commonly presented symptom. CategoriesNEUROLOGY TagsAGRAPHIA., ALZHEIMER'S DISEASE., AMYOTROPHIC LATERAL SCLEROSIS (ALS)., APHASIA., ARACHNOIDITIS., ARNOLD–CHIARI MALFORMATION., ATAXIA., DYSLEXIA.